There are so many breathtaking Israel beaches to discover. Are you wondering which one to visit today? 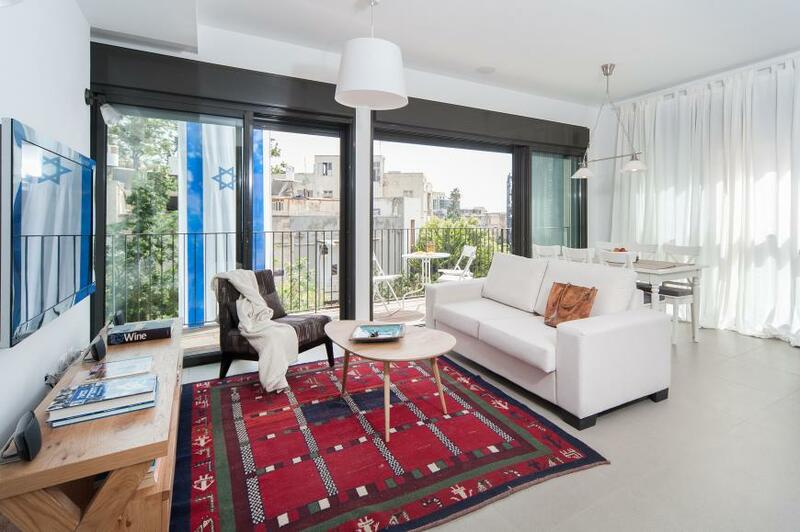 Explore Israeli beaches on your own with a rented car. You can find out more on car rental prices, availability and booking info here. Israel is blessed with one hundred official beaches and many more undeclared beaches. The beaches run along four vastly different coastlines. There is such a variety of Israel beaches. They can be sandy, grassy or pebbled; secluded or fashionable, family-oriented or popular with surfers. We love them all! But since we have to choose, here is our list of the top 10 best Israel beaches. 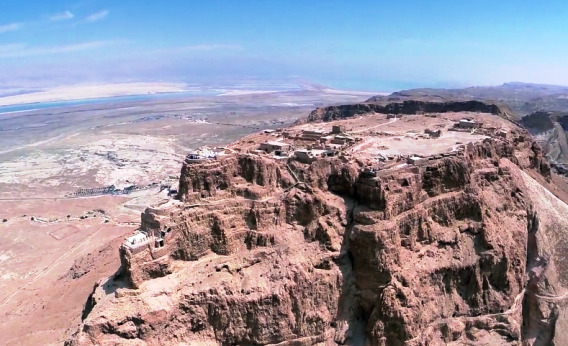 This top ten list does NOT include Tel Aviv beaches. 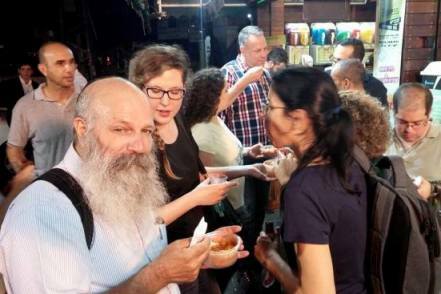 As a Telavivian at heart, I have no doubt they are among the best in Israel. 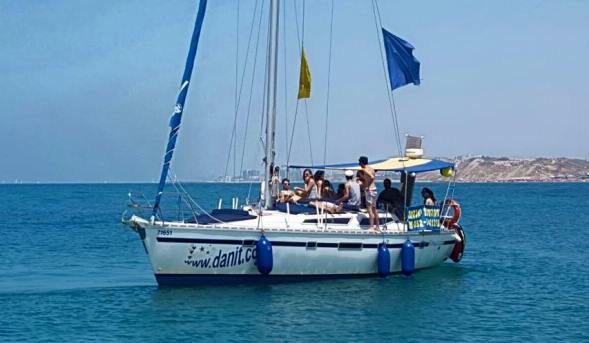 For a detailed review of all sixteen Tel Aviv beaches, visit our Tel Aviv beach page. Our top ten beaches below are organized heading northward from Tel Aviv and continuing in a clockwise direction. You can read the page, view each beach on the map, or click on the beach link that interests you. You don't have to stray far from Tel Aviv to find one of the most beautiful beaches in Israel. 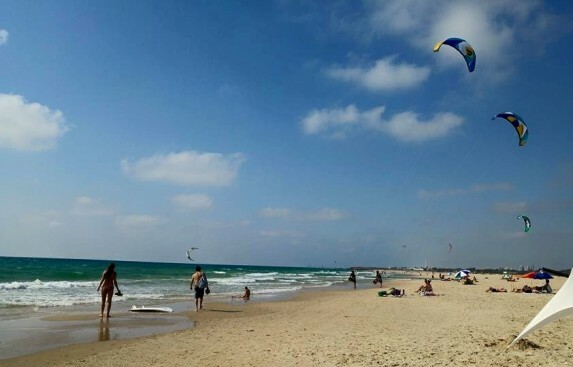 Herzliya, just a fifteen minute drive just north of Tel Aviv is home to several beachs. We think Acadia Beach is the loveliest in Herzliya. Entrance to Acadia beach is free, as are all beaches in Herzliya. The sand is soft, white and wide. There are lots of restaurants and cafes lining the beach. Acadia beach gets crowded during the hot summer days, but it is certainly less crowded than Tel Aviv beaches. 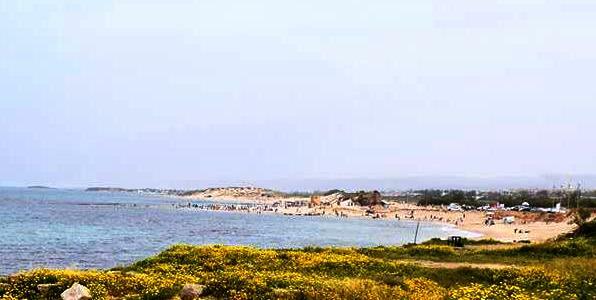 A classic, city beach pleaser on our list of top ten Israel beaches. Beit Yanai beach is known for its golden sand. The beach is wider than most and extends 2 kilometers along the coast. 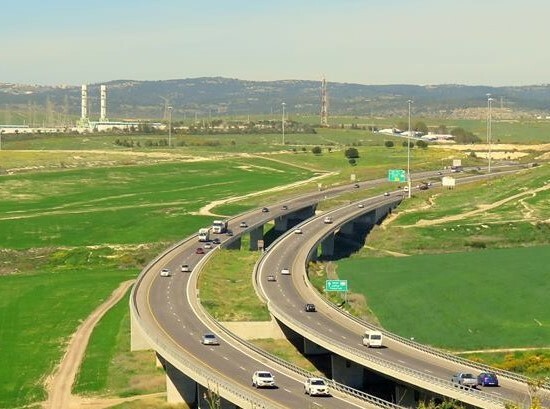 As part of the Nahal Alexander Stream Park just north of Netanya, the beach is well-kept, there are shaded areas, restrooms, showers, a restaurant and lifeguards during the day. You can continue walking north to where the Alexander Stream flows into the sea and there are pretty hiking trails in the area. Entance to the beach is free, however there is a parking fee if you come by car. There aren't many beaches in the world where you can sunbathe and swim alongside impressive ancient Roman ruins! Caesarea Aqueduct beach is relatively narrow, but it is unique. 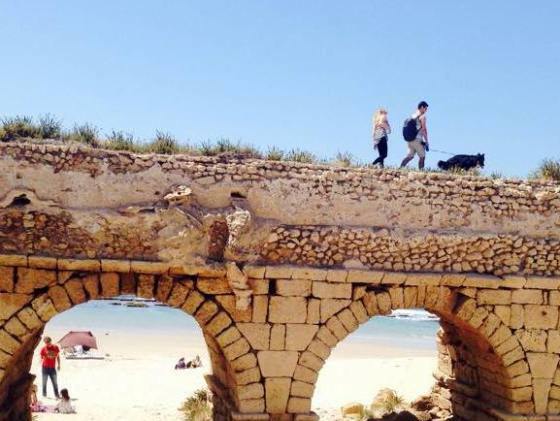 You can walk around, under and on the ancient Roman aqueduct that brought water to the ancient city of Caesarea 2,000 years ago. Beside the soft sandy strip, there is a grassy area, restaurants, a kiosk and bars. There is a small entrance free to the beach. 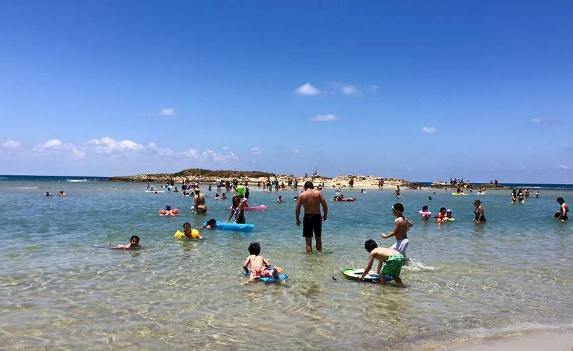 Dor Habonim beach is perfect for families due to the shallow bay area. 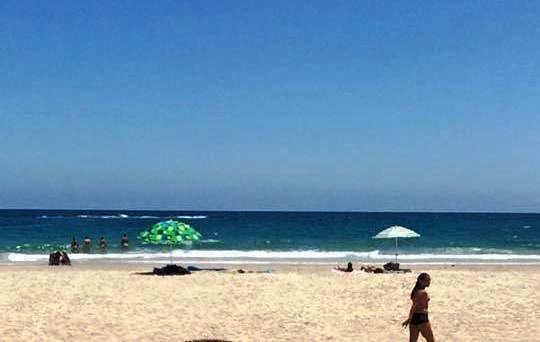 But there are no lifeguards, so you need to still be vigilant if you have young children. 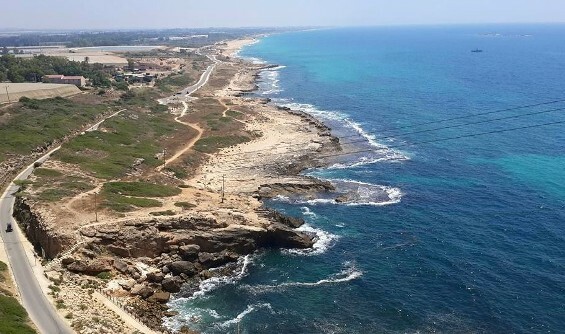 As part of the Dor Habonim Nature Reserve, there are several hiking paths along the sea and you can easily spend a whole day wandering around the beaches, pools and rocky areas along the coast. There is no entrance free, but there is a parking fee. 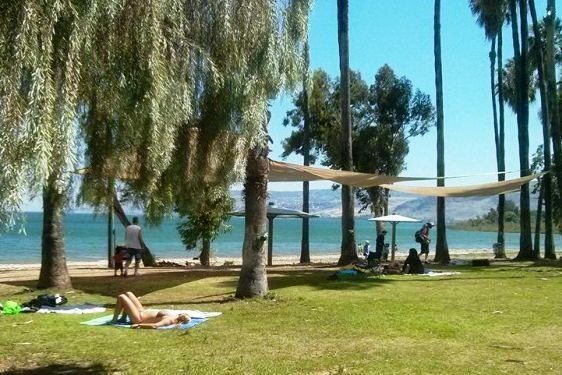 If you arrive early enough, you'll see the tents at this popular camping ground for Israeli families. Achziv Beach is my personal favorite beach in Israel, north of Akko. 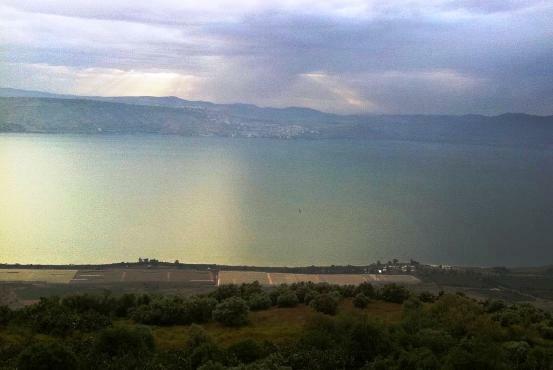 It is part of the Achziv Park Reserve and you can walk along the beach for 5 kilometers. There are two sections to Achziv, both of which are really nice. There are entrance fees to both, and campground fees if you stay the night. Banana Beach in the south is more developed, with grassy areas, restaurants and lots of cool, shady areas. I prefer the second section north of Banana Beach which is a bit less developed. We stay there in our motorhome, but you can rent a cabin. It was once the site of the first ever Club Med, but luckily for us its now part of the National Park. 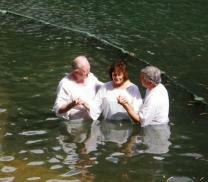 Ther are very clean shower and restroom facilities. Rosh Hanikra at the very northern tip of Israel near the Lebanese border is technically not a beach, but you musn't miss it! There is a breathtaking view as you ride on the cable cars that take you up and down from the cliff above to the sea. 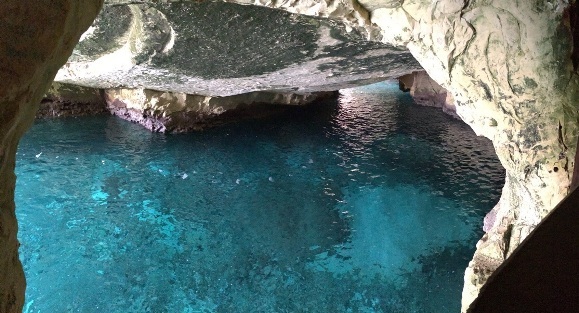 Instead of beaches, there are the gorgeous caves and grottoes to discover. 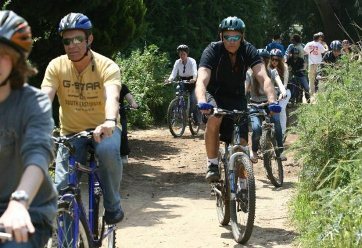 You can also rent bikes or electric carts to explore the natural scenery and wildlife in the area. The cable cars run daily, except on stormy days. For up to date prices, you can call 073-271-0100. Hukok Beach North on the northwest side of the Sea is a quiet and beautiful green oasis. 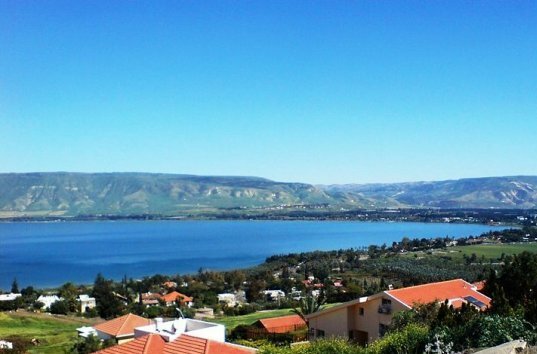 Many of the the beaches lining the Sea of Galilee cater to young Israeli singles and play loud dance music, and aren't always well-kept. 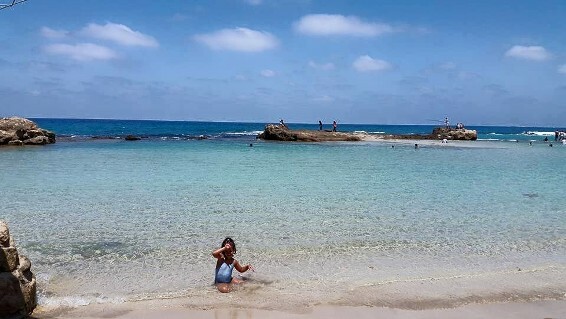 In fact, Hukok is one of the few beaches in Israel that has received the prestigious Blue Flag award for being ecologically balanced, quiet, and certified to have clean water and other green standards. 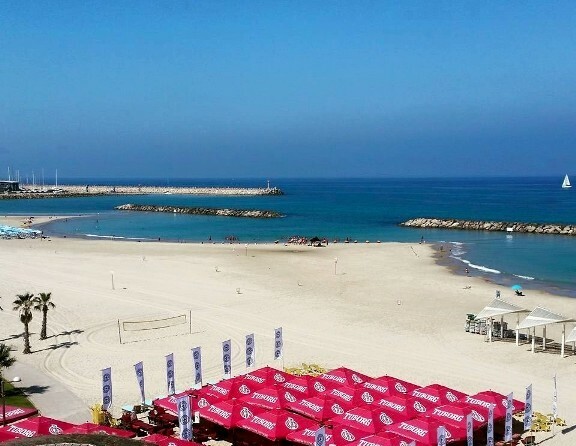 You can read more about the Israeli beaches that have achieved the international Blue Flag standard here. The palm trees and green grass along the clean waters of the Sea are pretty and peaceful. There are lifeguard services in the swimming area during the day, shaded areas, a volleyball court, showers and restrooms and walking trails. We love going to Hukok Beach and staying overnight with our motorhome. You can bring your own tent, rent a motorhome, or you can even rent from Hukok North Beach a tent or camper including all the bedding you need. 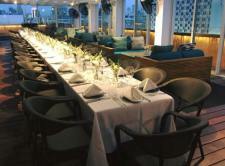 You just need to reserve in advance by calling them at 04-632-3360. 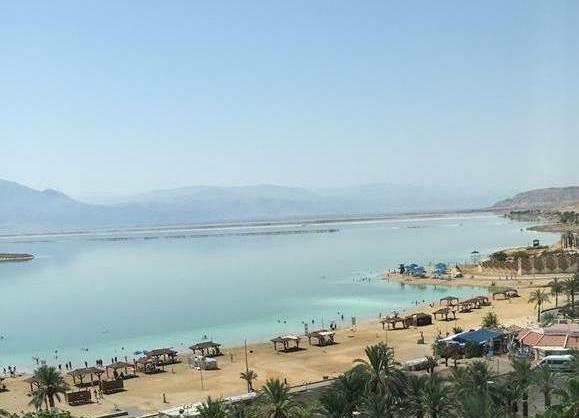 Our favorite Dead Sea beach is Ein Bokek adjacent to the hotels in the southwest part of the Dead Sea. 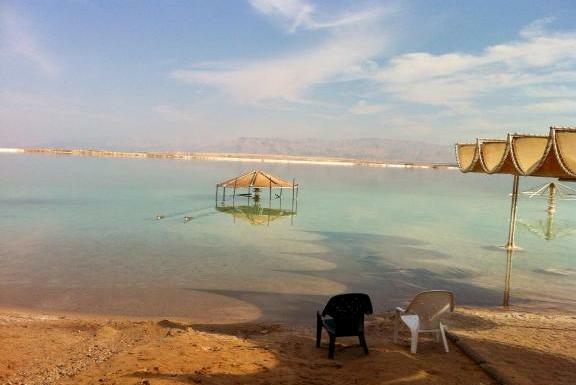 Unlike the Dead Sea's natural rocky terrain, sand was brought in to Ein Boked beach. It may not be natural, but its the most pleasant! The beach is clean and well-kept. 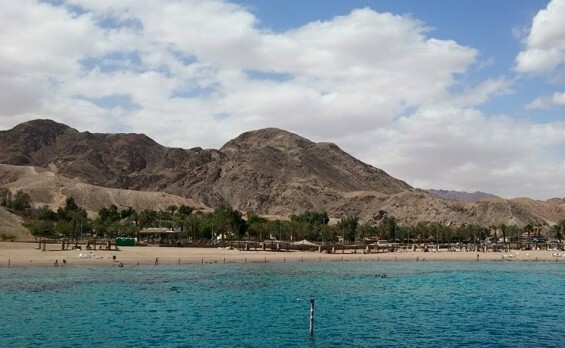 There is no entrance fee to Ein Bokek beach. You can rent beach chairs, there is a lifeguard, you can rest in the shade under thatched beachroofs and you can even camp out on the beach. 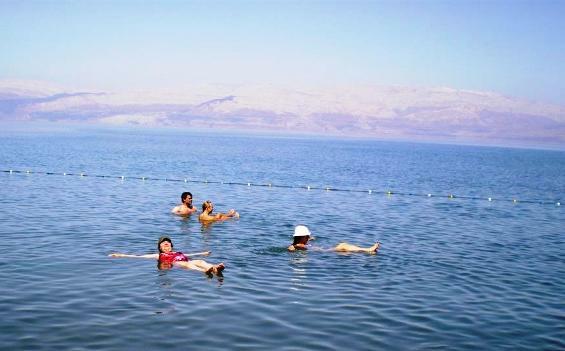 You haven't visited Israel if you haven't visited floated at least once on the Dead Sea! 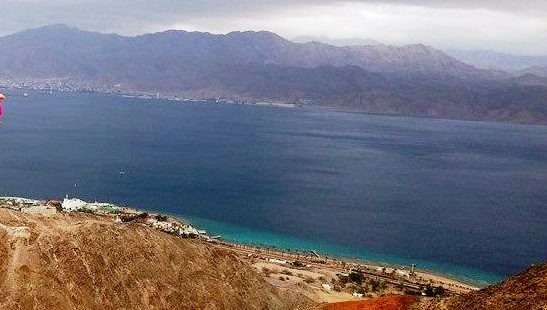 Coral Reef (Almog) Beach on the Red Sea is named after the beautiful coral reefs just below the surface. Its a fun beach for anyone, even if you aren't interested in snorkeling, but we encourage you to try! 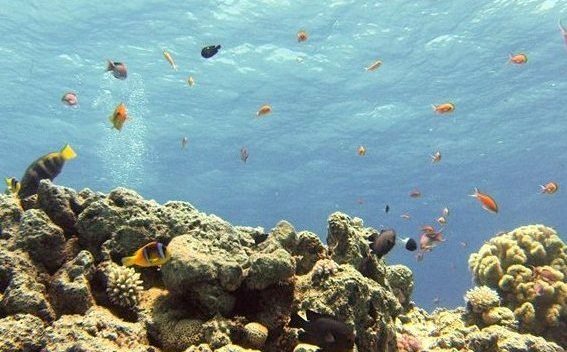 You can rent snorkels, masks and life vests and enjoy the unbelievable view..
Make sure to go to the Coral Beach that is part of the Israel Nature Reserve, and not a Coral Beach associated with any hotel. In Hebrew its called Almog Beach. There is an entrance fee, restaurant, seating in the shade with lots of umbrellas. 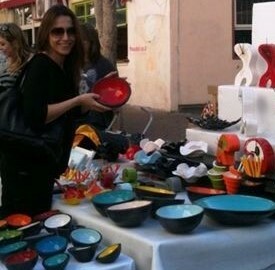 And of course lots of gorgeous, crystal blue Red Sea! Palmachim is one the last, pristine natural beaches in Israel, south of Rishon LeZion. The Palmachim Nature Reserve has shaded areas, a restaurant and a cafe, picnic tables, showers and restrooms and its a popular place for overnight camping. On the beach itself, there is one section that is lifeguard protected during the day.